Black envelopes. 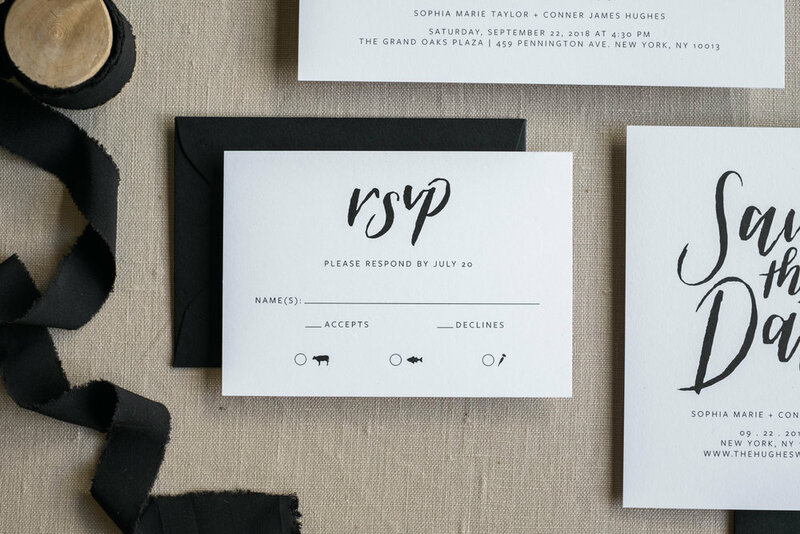 Sans-serif text with brush calligraphy printed in Black ink on Smooth card stock. Our modern collection written in brush calligraphy. The script is effortlessly inscribed with obvious brush strokes and ridged edges. 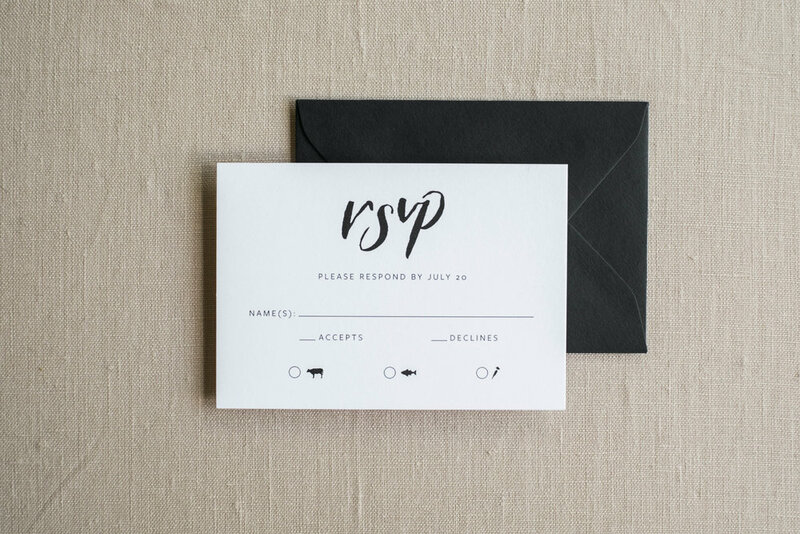 Minimal yet sophisticated, this suite is ideal for a Black Tie event or contemporary affair.